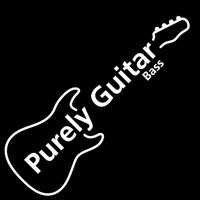 Purely Bass Guitar is designed to help you become a better player! Purely Bass Guitar contains over 180* specially-composed routines for bass guitar players, including scales, arpeggios and rhythmic accompaniments. 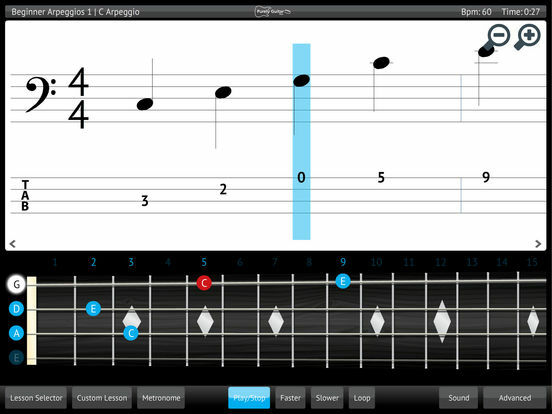 Play along with Purely Bass Guitar, with the help of a highlighted fretboard display, animated musical score and tab notation. Live animation makes it easy to follow the music, so you can practise in a way that suits you - whatever your skill level. 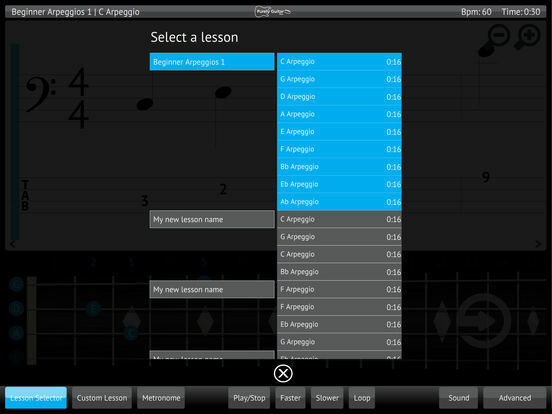 The software includes structured lessons designed to improve your playing technique - for all abilities, from beginner to advanced. Don't get stuck in a rut with your music practice - Purely Bass Guitar helps to make the most of your practice time by making it more interactive and structured. Regularly using Purely Bass Guitar helps to give structure to your practice time - remember, variety is the key to improving your playing technique! Purely Bass Guitar adds an extra dimension to your music practice, with interactive features to enhance your experience. 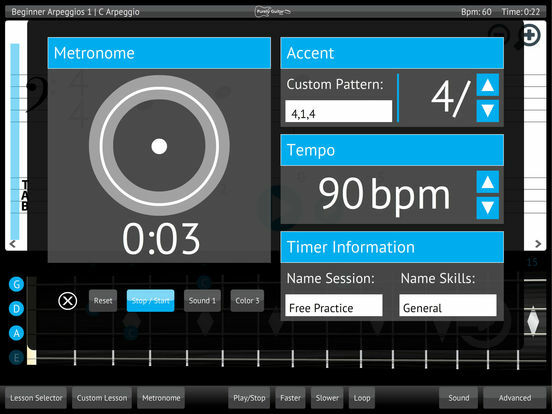 Purely Bass Guitar also includes a unique metronome, which can be used as a stand-alone function for whenever you need to play along to a customised tempo – perfect for freestyle practice! *180 routines available following full purchase. 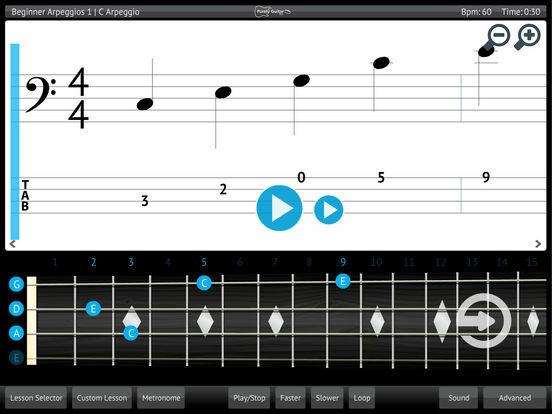 Free version contains a single sample lesson.